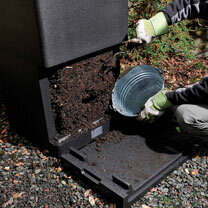 HotBin is a 200 litre hot composting bin that is easy to use. 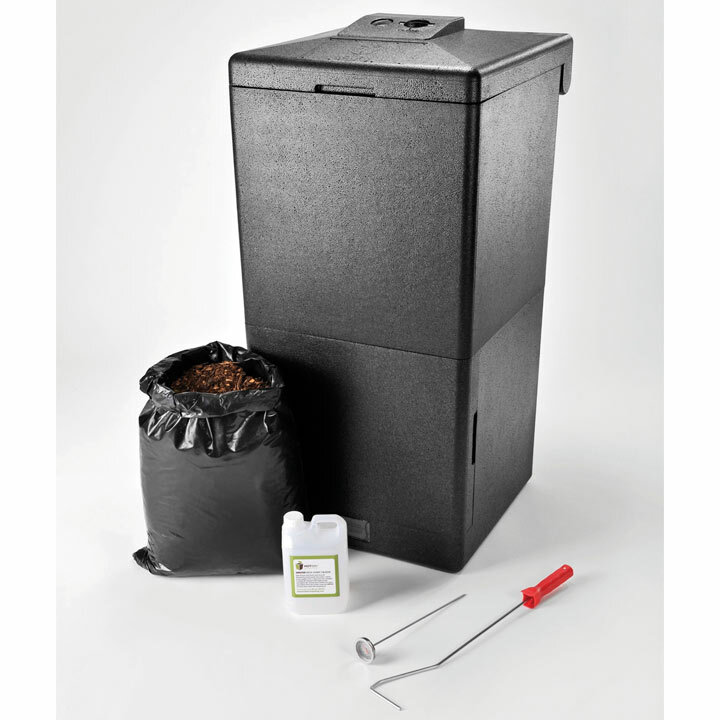 It quickly transforms kitchen waste and plate scrapings (including meat and fish), grass cuttings, garden prunings and leaves into nutritious compost. 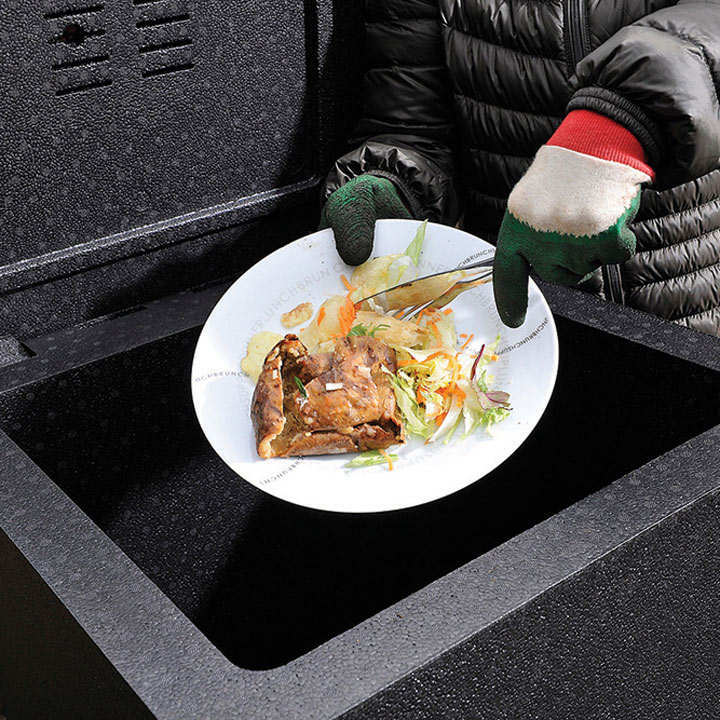 The insulated walls and effective aeration allow high temperatures to be reached and sustained, which means that food waste can be successfully sanitised and composted, without unpleasant smells. 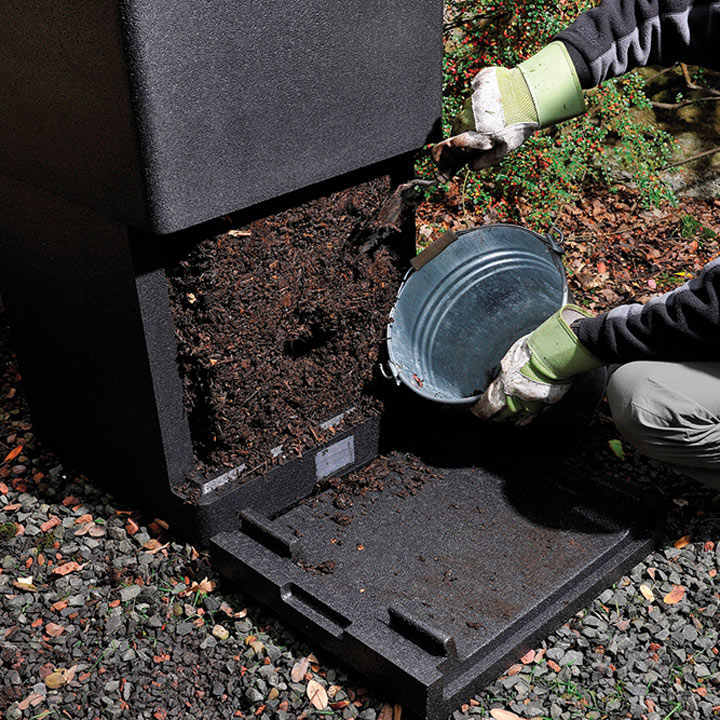 It's quite simple ... you can put more IN your HOTBIN! Tested by Garden Organic at Ryton Gardens and found to produce 'little odour, virtually no flies and no problems with rodents'. Dimensions: 550 x 625 x 1145mm. Internal thermometer for tracking exact temperature in top later of waste. 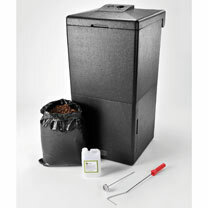 Comes complete with raking stick, wood chip bulking agent, "kick start" bottle, full instructions. 3 year manufacturers guarantee.